Spotless Window Cleaning Every Time. Like many of our customers, you most likely have a to-do list that is a mile long. On the other hand, maybe you can think of a hundred ways to better spend your time than cleaning the windows in your home. 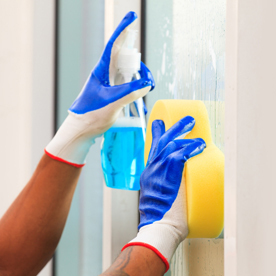 Whether you are tackling spring cleaning, or just general house keeping, when it comes to cleaning windows, many people find it to be a daunting task. Do you really desire to drag out that old shaky ladder and clean those awkward, hard to reach windows in your home? House Cleaning Melbourne is happy to tackle this difficult chore for you, to all of your specifications. We know you do not want to let just anyone into your home, but as thousands of our previous customers will tell you, we are not just any company. You can trust us to keep your schedule, and respect your home and family at the same time, that is why we are quickly growing as one of the area’s top window cleaning, and home cleaning services. If you have been living with dirty windows for a while, it might be difficult to imagine just how bright a properly window cleaning can make a room. Our professional team of cleaners use a variety of products, including environmentally safe, natural options to make the windows of your home shine. If you would like the natural cleaning products used, please do not hesitate to ask! We are always happy to accommodate your needs. With House Cleaning Melbourne, you can rest assured knowing you have hired a real, fully insured professional cleaning team. Our trained team of window cleaning experts will remove even the toughest dirt and grime; we take care to never leave streaks or drips behind. 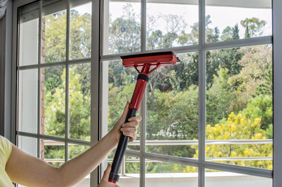 Our team of window cleaning specialists will utilize squeegees, window wands, as well as tall extension poles to ensure even the dirtiest of windows are properly cleaned. The team will start off by giving your windows a thorough scrubbing, this releases dirt and grime build up on the glass, as well any other airborne contaminants. After this scrub, the window is then cleaned using professional-grade equipment. This process includes squeegeeing the window, which removes 99.9% of water and built up dirt in the pores of the glass itself. To finish, the edges and windowsills are thoroughly wiped cleans and completely dried. This leaves absolutely nothing behind, but sparkling clean glass. Our house keeping team constantly strives to maintain our high customer loyalty, and our company’s reputation. 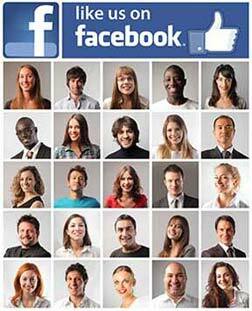 All of technicians are trained to provide you with the best possible service and experience. We are fully insured, and bonded, as well as licensed in the appropriate areas. Do not risk hiring less than professional “other” guys who may show up in a beat up truck and ripped tank top, and then charge you ridiculous prices for their less that satisfactory jobs. Our cleaners are trained to clean windows the right way. House Cleaning Melbourne window specialists are taught the most thorough and product ways to completely clean windows, inside and outside of your home. We will settle for nothing short of perfect. All of the House Cleaning Melbourne cleaners wear company uniforms. They will only arrive at your home in clearly marked company vehicles, so you can use our window cleaning services in confidence. If you need your windows cleaned, do not hesitate to call House Cleaning Melbourne and schedule a window cleaning today!